Here at Chauffer Car Melbourne winery tour, it is all about taking you and your winery tour experience to a higher level. We specialize in private winery tours of all occasions. Winery tours are a great means of enjoyment and so much fun because you get to taste a number of the crispiest and excellent wines created locally. Fine tune your appreciation of Australian wines and cuisine on a scenic tour of the Mornington peninsula from Melbourne. You will get the chance to taste the fine wines and delicious food of the Mornington peninsula on this tour from Melbourne. Get pleasure from a tour of the Mornington Peninsula’s wineries with scenic ocean views and gourmet local produce. A personalized route is going to be planned for you and your group, taking you through the wineries and any other activities of your interest. The Mornington Peninsula is an Australian wine region situated at south of Melbourne, Victoria. It is an hour drive from Melbourne .The region features a cool climate creating wine growing ideal. The peninsula is known for its medium bodied, dry wines and sparkling wines that are of perfect structure and quality. The Mornington Peninsula is a notable wine region, manufacturing good quantities of top quality wine from around sixty wineries. While most varieties are grown, the calm, maritime climate of the peninsula is especially noted for pinot noir. Wine lovers will adore the cool climate wines made by the various fabulous wineries on the Mornington peninsula. From Chardonnay’s to pinot Noir, wine lovers are going to feel they are in heaven. The peninsula is primarily a tourist region, with standard natural attractions like the range of beaches both sheltered and open-sea and plenty of scenic sights and views. Other standard attractions include the varied wineries, mazes and the numerous arrays of water sports created on the market by the variety of beaches and calm waters of Port Phillip and Western Port. Wines are not the only products in Mornington Peninsula. There are handmade cheeses and chocolates, strawberry and cherry farms and fresh pastry and cake shops are as also plenty. 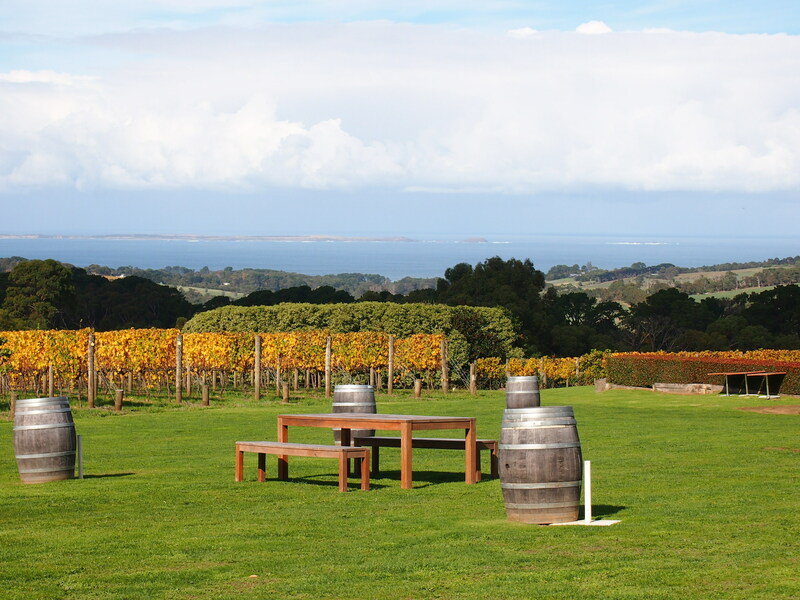 Experience a wonderful, all inclusive outing on our private Mornington peninsula winery tours. We offer private winery tours of the Mornington Peninsula wine region that are fully centered on you, our valued guests. Right from the first consultation, our aim is to produce the best tour possible for you and your group. Most importantly, it is our goal to produce fun and interesting winery tours that will leave long and lasting memories for you and your guests. Trust us to create the perfect Mornington Peninsula winery experience, let our outstanding Consultants tailor out your perfect tour .Breathe in the fresh ocean air and absorb the relaxed alfresco lifestyle of the Mornington peninsula. Sit back and relax while our professionals guide you and your guest through the natural and attractive surrounds of the Mornington Peninsula wine region in Victoria.